Gloria Emanuelson brings her travel knowledge to The Wedding Yentas today! Her travel company, Honeymoon Dreams and Wishes is Signature Preferred, with contacts in over 22 countries, and specializing in luxury, upscale, travel. This has allowed Honeymoon Dreams and Wishes to build strong relationships throughout the world so that her clients can enjoy the best of the best. Gloria loves nothing more than traveling and attending weddings, so it seems obvious to pair up with The Wedding Yentas to share tips and ideas to brides who wish to have a destination wedding or an unforgettable honeymoon. Honeymoons, Destination Weddings, Anniversaries, and Romantic Vacations. Because we have traveled extensively throughout Europe, Mexico, Caribbean, Tahiti, Central America, and Hawaii we can “Match” you to the right Destination and Resort. You may think that because you’re intending to have some sort of Jewish wedding, that there’s no way you could also enjoy a destination wedding. Well, that’s not true. As a a woman who loves weddings and with a big bite from the travel bug, I can tell you that destination weddings are special and memorable. 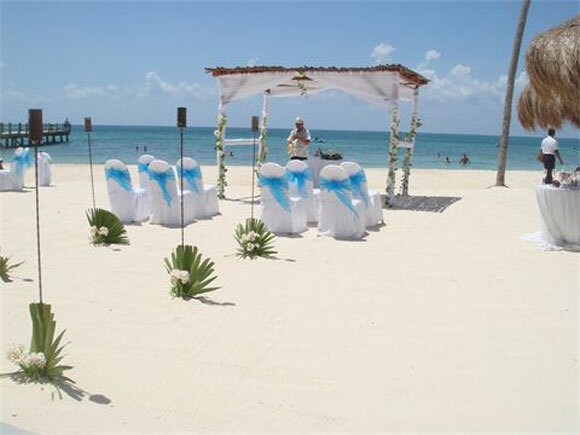 There are many reasons a destination wedding can be the perfect choice for you and your fiance. Imagine standing on a beautiful beach with the ocean behind, or on a cliff with a village below you, or in a garden with a winery around you — all while saying your vows! Getting married in your own special-to-you locale is such a special way to say “I do!” and will create memories that will last forever. I’ve recently had an opportunity to visit the Cancun/Riviera Maya area and experience for myself how amazing this experience would be. 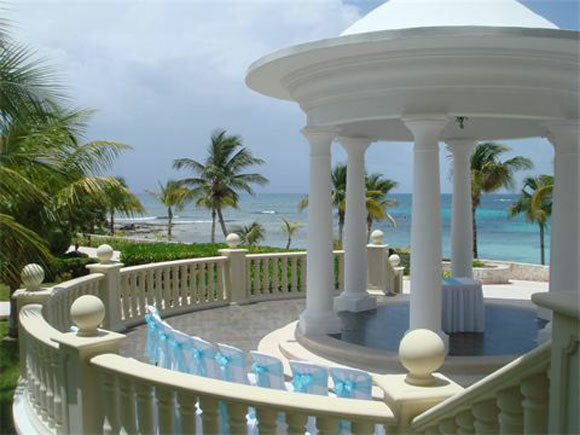 The resorts in the Riviera Maya area, especially, provide so many options for the couples. If you’re nervous about planning the details of your wedding in advance from afar, take a deep breath and relax. The resorts have wedding coordinators who can assist you with all of your planning so this will really make the planning process easy. They eliminate so much stress and provide you the opportunity to thoroughly enjoy this special time in you lives. You won’t need to worry about the nitty gritty during the other exciting parts of your bridal experience like wedding showers and bachelorette parties. Focus on those events and being present for them. Let your destination wedding coordinator handle the rest with your input, of course. If you’re inviting a group of guests to join you for your destination wedding, I do recommend hiring a travel professional to coordinate the guests’ travel arrangements. Coordinating how your guests will travel can be quite involved and time consuming, and if the whole point is to relieve you of some of the dirty work, then there’s no sense in you scheduling all of your loved ones, too. A travel professional like me can provide the most cost effective way for your guests to arrive and depart, while also making some luxurious and convenient plans for everyone. We also, often times, have connections with the resorts and this will provide you and your guests with added values you may not receive by booking directly yourself. So go ahead — close your eyes and imagine your happy place. Want to get married there? It can happen! Mazel tov, on your upcoming wedding!